The famed PETA protestors of last year were back in full force this year, this time it was Arthur Galan in the firing line and not Rachel Gilbert. As I stated in my blog post last year I am in full support of their protest, the use of real fur in Australia is unnecessary with our warm climate and especially cruel as the fur mostly comes from Asia where the animals are treated inhumanely. Before anyone says anything they also don't wear leather and only use cruelty free cosmetics, as I said on my instagram people who feel strongly enough about an issue to go out and protest in the cold usually care enough to follow through on it. I am here to cover the runway shows, but as I believe in the protesters message I respectively have decided to omit any runway photos of Arthur Galan's collection. I hope they get the message and stop using fur in future collections. I've been hanging out with the lovely Lady Petrova every night, its been so great to have girly catch ups, and I always love what she wears. The blue jumpsuit is a sample from her AW2013 collection, so this is a sneaky peak at what to expect from her next year. Her bag is a super cute vintage Moschino find, I'm very jealous of it. I've also been hanging with my favourite Melbourne lad, Ohjamie, who also happens to be wearing samples from the brand he works for Strateas Carlucci (previously known as Trimapee). Jamie does Melbourne black so well. Above are one of my favourite Melbourne labels. They are experts at kooky tailoring and always do amazing outerwear. I only wish the vase dress wasn't a runway only piece. I loved the structure of the pieces and I especially loved the dark ink blot print maxi. Very Melbourne and edgy. Alice Euphemia is the best boutique in Australia and they showed why last night. 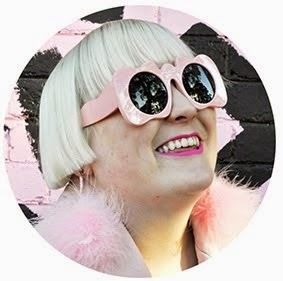 Their buying team only buy the best and most cutting edge of Austrlaian design, from the likes of Romance Was Born to Emma Mulholland, nurturing those labels and giving them complete design freedom. Pretty purple pastels, draping and shift dresses. The new diffusion line by Yeojin Bae offers up her usual chic designs at a lower price point. You still get the Yeojin trademark use of prints and soft tailoring. 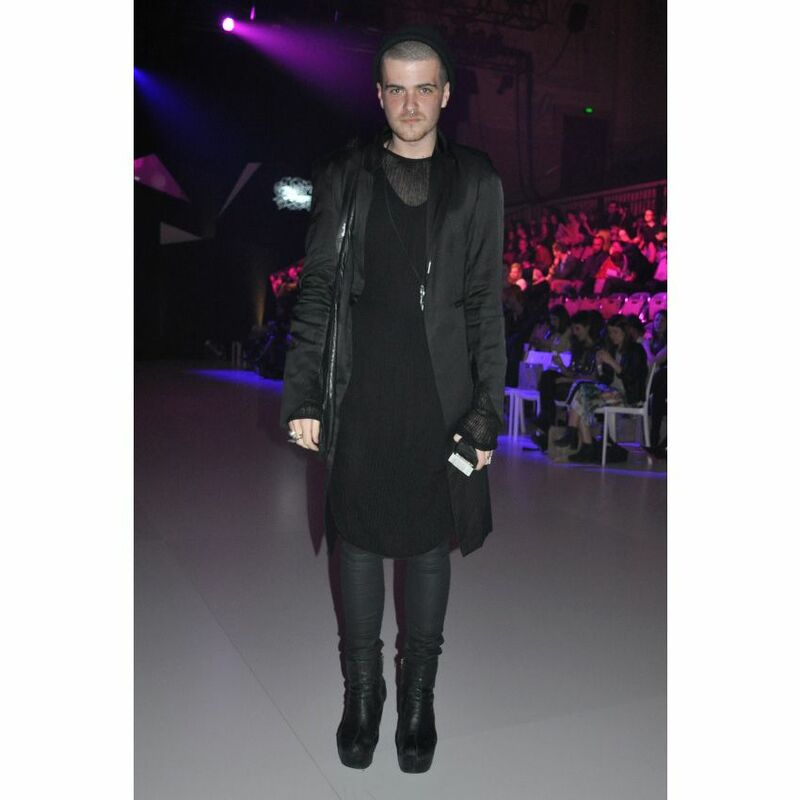 I saw this collection sitting front row at MBFWA earlier this year (opposite Lara Bingle no less! ), on the only day I managed to go before coming down with the worst flu of my life. I loved it then and I love it even more now. Its fun, bright and very directional. On trend peplum's and brights, I was pleasantly surprised. Thanks again for taking the time to remind everyone that fashion can and should be ethical! 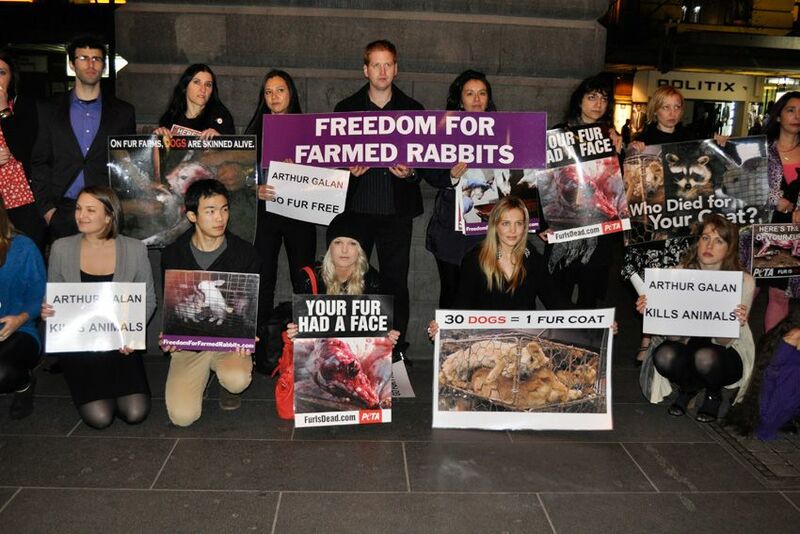 Your support for the fur-free fashion campaign is very much appreciated. All of these pieces are stunning as fuuuuudge. I respect you so much for not including any runway photos that included real fur. Hayley, you're amazing! Love the print so very much. Seriously R-E-S-P-E-C-T for not including those runway photos and mentioning the protest. I`m a true style lover who also happens to be vegan so this is a really cool thing of you to do, from my perspective. Go Haley! Like the commenters above, I really respect your not showing images from the Galan show. Well played.